It's no secret. 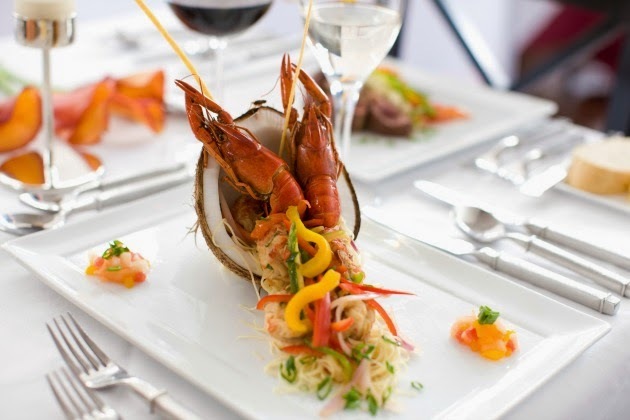 This past year Sandals Resorts has revamped their dining options and the results are amazing. The resort chain has 160 restaurants, serving close to 20,000 guests daily, at all of their 17 resorts throughout the Caribbean. 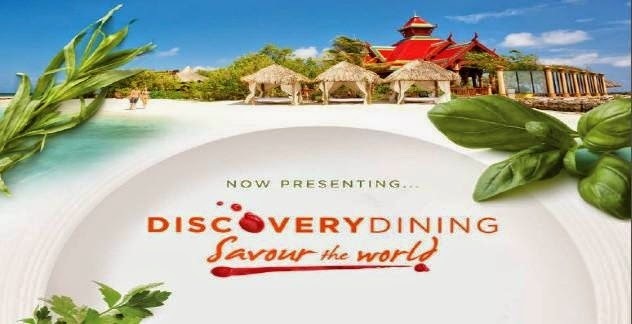 Sandals employs chefs from 32 countries around the world, and have hired over 100 new chefs this year alone when they launched their "Discovery Dining" program. Sandals now offers 21 distinct restaurant concepts including Italian, Neapolitan Woodstone Pizza, Classic French, French Brasserie, French Pâtisserie, Crêperie, Mediterranean, English Pub Fare, Seafood, Caribbean, Japanese Teppanyaki, Sushi, Thai, Pan-Asian, Grilled Specialties, Seaside Grills, Southwestern, Steakhouse-- and they've recently add Indian, Southern and Tapas to the list! 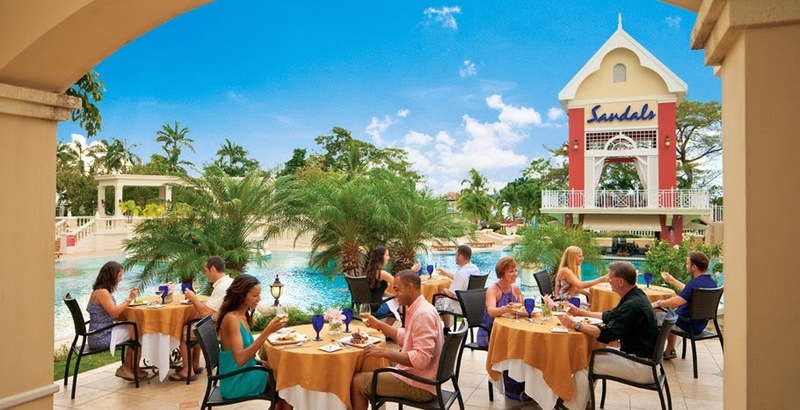 Sandals Barbados is scheduled to open in late January (2015) with 11 restaurants on property. Butch's Chophouse is Sandals's first ever steak house that has been receiving stellar reviews since opening at Sandals La Source in Grenada this past year. 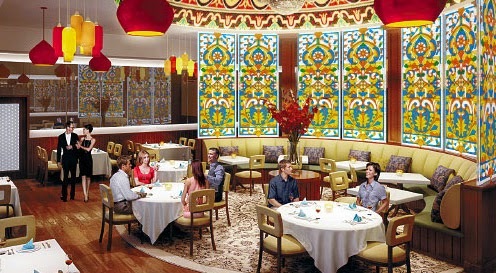 Bombay Club is the chain's first Indian cuisine restaurant, which is sure to expand to other properties in the future. The Drunk Monkey Pub is also new. The new year is bringing several new things to Sandals Grande Riviera. 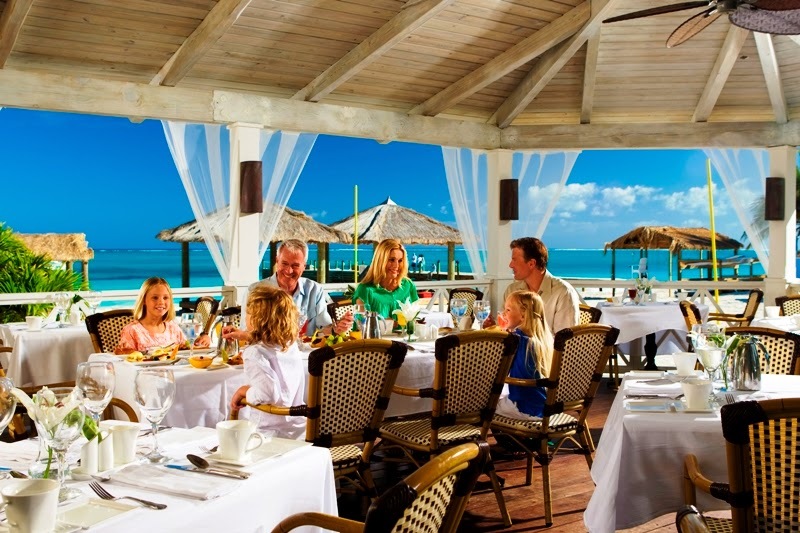 The Southern Table will mark the first Southern cuisine restaurant at a Sandals property. Tapas on the Riviera will be a Mediterranean small-plate restaurant. The Rabbit Hole will be a bar, reminiscent of a 1920's Speakeasy. This resort boasts an already impressive 20 restaurants, but soon it will welcome it's 21st-- The Southern Table. Finally, guests will be able to enjoy delicious homestyle cooking from the Southern USA. This past year the resort made it's adult-only restaurant, Le Petite Chateau, a family-friendly restaurant, welcoming children over thirteen to dine there for dinner with their parents. As part of the Discovery Dining program, guests staying in Concierge and Butler level suites at select properties are offered room service as part of the all-inclusive package. Sandals also takes pride in their "culinary concierge desks" on property, which allows guests with food allergies or special dietary restrictions to pre-plan meals and menus with the resort's executive chefs upon arrival. Following the announcement of Mondavi wines taking over the current Beringer partnership starting March 1st, 2015, Sandals also announces that authentic beers such as Singha from Thailand, Japanese Kirin Ichiban, Britain’s Guinness and Newcastle Brown will be made available on property. 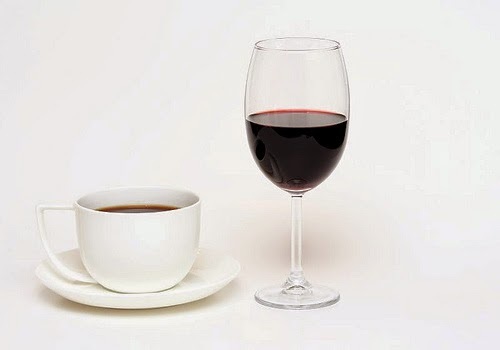 And for those who love coffee-- Jamaica’s Blue Mountain Coffee, will now be the only coffee available in all restaurants, lounges, and in all rooms as well.